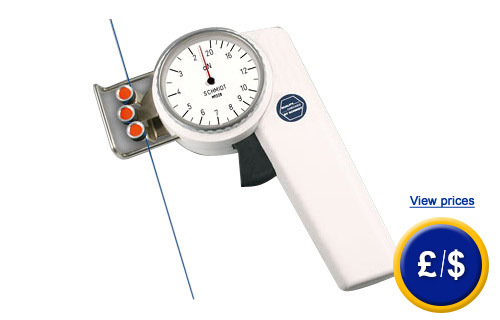 Tensile stress meters are applied in various areas of industry. Especially this tensile stress meter ZF is used for circular knitting and it is the leading product in the circular knitting industry. At every spot and all ranges, where processing on high levels of precision and high quality is performed, the tensile stress meter is increasingly applied to set-up precisely the systems of circular knitting machines. Apart from that by means of the tensile stress meter ZF special machineries for reworking of cutting tools can be applied in erode-technology. As a third point the wire industry needs to be mentioned. Here the tensile stress meter is applied for wire-drawing and winding machines. The design is kept very simple and a measurement is simplified for the user due to a trapping bail. This trapping bail simply leads the measuring good to the v-shaped guide rollers. Afterwards a measurement of the object can be performed. The tensile stress meter ZF is purchasable in various models with separate measuring range. The specific measuring ranges are listed in a table below. 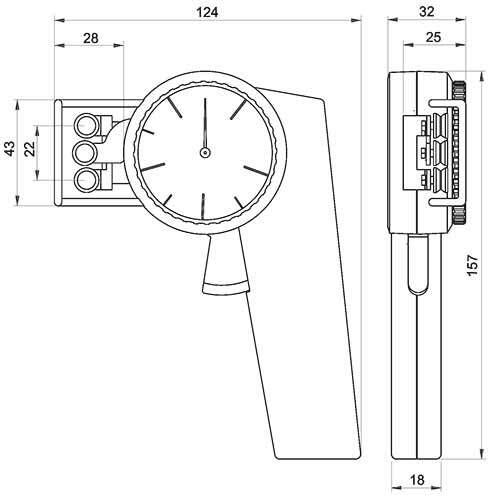 If there are any questions about this tensile stress meter ZF, please have a look at the technical specification below or call: UK customers +44(0) 23 809 870 30 / US customers +1-410-387-7703. Our technicians and engineers will gladly advise you in all force testers and all products in the field of measuring instruments, regulation and control and scales. - ISO calibration certificate (for businesses the want to admit the tensile stress meter to their internal inspection-pool and for annual calibration). The certification according to ISO consists of a laboratory calibration including test certificate with all measuring values.